A misplaced bead in a piece of beadwork is called a spirit bead in many Native American cultures. Have you ever been zipping along in your project, weaving or stringing, and looked down and realized that there’s a wrong-colored bead somewhere? 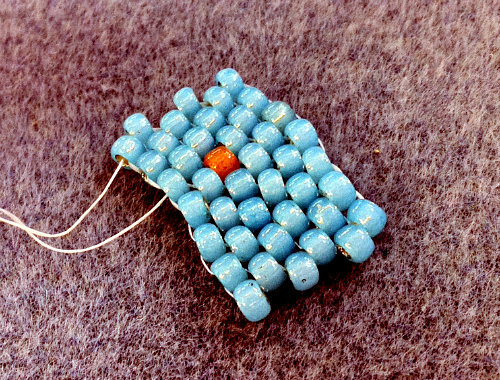 The Native American women who have traditionally created intricate, beadwoven pieces intentionally string on a bead of the wrong color in a pattern. This bead is called a spirit bead. It’s a wonderful sentiment, to not expect absolute perfection of yourself or anyone else. So the next time you have a purple bead instead of the green one that’s supposed to be there, leave it! It’s your spirit bead.